We get it – YouTube can be such a helpful companion in times where your child needs some quick and easy entertainment in almost any situation. Simply open the app, search for a topic your child is interested in, and viola! We won’t lie – we’ve done it ourselves on numerous occasions. 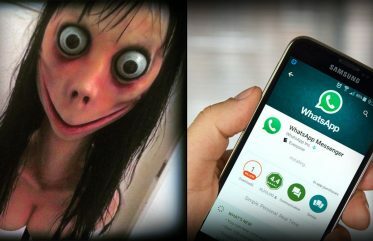 However, with the rise of inappropriate content sneaking its way onto children’s phones and screens such as the Momo Challenge, it’s best for us parents to take the necessary steps to protect our kids. You might be wondering, what kind of content should I be worried about? 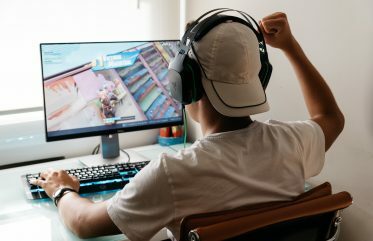 Aside from the obvious threats of predators and grooming on the multi-national social networking site, there are around 300 videos uploaded each minute to the platform that lean into topics unsuitable for kids to be watching. Some of these can even make their way onto the YouTube Kids platform, designed (but not without flaws) to hide adult content from kids’ screens. Recently, a channel called ‘Simple Fun’ was suspended as it produced videos featuring iconic characters such as Micky and Minnie Mouse… in scenarios involving pregnancy problems, pole-dancing and physical violence. These videos got millions of views within a few days, and were then recommended via YouTube’s algorithm to even more people searching for Disney videos. 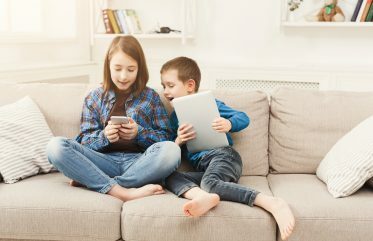 As it stands currently, inappropriate and influential videos may be sifting over to your phone and into your child’s hands completely unintentionally. YouTube itself has some preliminary options for you if you’re looking to safeguard your child’s viewing experience. This is mainly present in the form of its ‘Restricted Mode’. When Restricted Mode is enabled, comments from other viewers will not be visible to your children. The videos that appear in Restricted Mode are determined as ‘safe’ through metadata, video tags, titles and age ratings. On desktop computers, you can enable Restricted Mode by going on YouTube’s web page, clicking on your avatar/profile picture to pop up the menu, and then selecting the option that says ‘Restricted Mode’. On Mobile, open the YouTube app and tap your profile in the upper-right hand corner to access the Account menu. Scan for the option that says ‘Settings’. Press on this and then look for the ‘Restricted Mode’ option. Once on the restricted mode menu, simply tap the slider to filter out some of the more inappropriate content for children. Sesame Street – A classic in itself, Sesame Street is a show you’ve certainly seen yourself at some point or another on television. Its YouTube channel provides short bursts of educational entertainment for younger children with iconic characters such as Big Bird and Elmo featuring. They also have plenty of ‘Best Of’ videos with different moments of their episodes throughout the decades, meaning you won’t be running short of content with this one. TED-Ed – Best for school-aged children, TED-Ed is a widely recognised youth and education channel focusing on a variety of topics. For your young thinkers, this allows them to develop their knowledge of the world with beautifully animated shorts to keep them entertained. Topics range from riddles to history to multiple short webisode series’ on their own channel! Perfect for you if you’re hoping to educate your children whilst still entertaining them. Disney Music VEVO – Obviously an official Disney channel would be safe enough for your children, but this channel specifically features all the musical melodies straight from the films. Shamelessly sing Let it Go once more with your kids, or any other Disney song you can think of! As the channel is Disney, you can have some peace of mind knowing the lyrics will be appropriate, unlike other popular VEVO artists who are mostly aimed for older audiences. Cartooning 4 Kids – This channel can assist your child in expressing their artistic merit as they learn to draw many of the popular characters they watch on television, read about in books or play in video games – very entertaining for more creative children! Go to Web Safety > Block ‘Streaming Media’ category. Turn ‘Enforce Safe Search’ on. Go to App Safety > Specific tab. Type YouTube and select YouTube from the drop-down menu. At Yomojo, we’re always happy to help. If you have any queries about FamilyEye or online safety for your children, feel free to contact us.